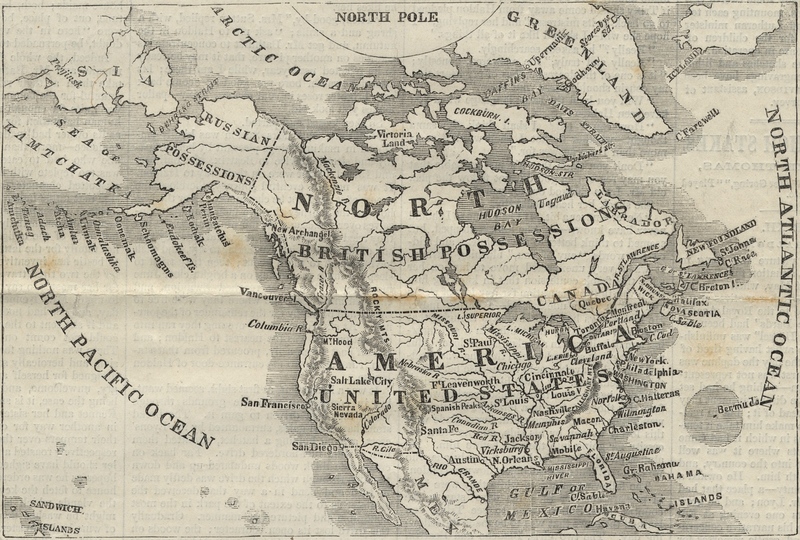 Sovereignty in North America at the time of the Alaska purchase. Harper’s Weekly, May 4, 1867. As you probably already know, I was left here with only a servant to remain till his [Bulkley’s] return and glean all information possible of the natives, traders and coasters, also to copy some charts of the northern coast which the governor has loaned us, and also to observe the horary [hourly] oscillations of the barometer . . . and make collections generally of interest to science. Dr. Henry P. Fisher, Surgeon-in-Chief of the Western Union Telegraph Expedition, spent five months in Sitka in 1865 and organized the first Independence Day celebration in Russian America. Massachusetts Historical Society, Dall-Healy Family Photographs, #69.18. The Governor and his lady seem only too anxious for my comfort, and in fact it is somewhat of a bore for me to dine with them every day and be subjected to the infliction of the varied courses served after the Russian style, which with all my culinary knowledge I cannot classify or discover the component parts thereof. the privacy of my quarters was disturbed by a visitation, without any previous warning, from the ladies of Governor, chief factor, post captain and some young misses that I did not remember. I entertained them with cake and champagne and they seemed greatly delighted. Thus closed the Easter holidays, and all again returned to work. The anniversary of July Fourth was not permitted to pass by unnoticed here by Captain Sands, of the barque Clara Bell, and myself. The Governor, Prince Maksoutoff, being absent on his annual trip to the various ports of the Russo-American Company, we notified the Captain of the Port, Gaverishoff, and also Captain Lutz, of the Susanne, that we should fire the usual salutes, at sunrise, noon and sunset. Much to our gratification, all participated in the jubilee, and from the forts on shore, the Hamburg vessel in the bay and our own little barque, iron throats rung out their echoes, reverberating again and yet again from mountain to mountain—‘Vive l’America.’ Our country’s honored flag waved from topmast and citadel alike, while the Russian and German ensign floated as well in cordial companionship. The Russian American capital of New Archangel (Sitka) five months before the transfer ceremony. Harper’s Weekly, May 4, 1867. In the end, the Maksutovs named their daughter Aleksandra (not Clarabel), and a year later the Western Union Telegraph Expedition was abruptly abandoned when a newly installed trans-Atlantic cable made the Alaska-to-Siberia telegraph plan superfluous. 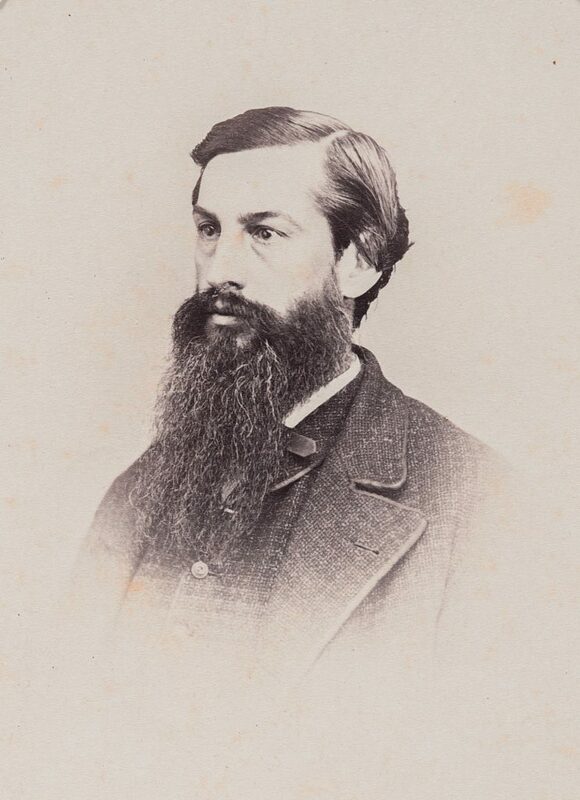 However, Fisher’s reports and those of other expedition members like William H. Dall and Henry W. Elliott helped to convince United States officials to pursue the purchase of Russia’s North American colony. On March 30, 1867 the Treaty of Cession was signed in which Czar Alexander II agreed to sell Russian America to the United States for $7.2 million. The following year the Fourth of July was celebrated enthusiastically in Sitka—this time on sovereign United States soil—but it could not, if we are honest, be considered Alaska’s first Independence Day commemoration. “Letter from Russian America,” Rutland Herald (Rutland, VT), July 12, 1865. “Letter from Sitka,” Daily Alta California, August 5, 1868. Mecutchen, Valarie S. “Alaska’s First Star-Spangled Fourth,” Journal of the West 6 (July 1967), 433-439. Neering, Rosemary. Continental Dash: The Russian-American Telegraph (Ganges, BC: Horsdal & Schubart Publishers, 1989). “Our Letter from the Russian Possessions,” Daily Alta California, August 27, 1865. “Progress of the Collins Overland Telegraph—Western Union Extension,” Daily Alta California, September 16, 1865. “The Russian-American Telegraph—Trip to British Columbia,” Rochester Daily Union, May 27, 1865. Sherwood, Morgan B. Exploration of Alaska, 1865-1900 (Fairbanks: University of Alaska Press, 1988), 15-35.